Cosmetic crown elongation is done to improve a "gummy" smile or to recontour uneven gingival margins. Sometimes teeth appear short, when they are actually the proper size but are covered with excessive gum tissue. This can be corrected by removing excess tissue to reshape the tissues and expose more of the tooth structure. The outcome is a much more aesthetic smile. Often a tooth is badly worn, decayed or fractured below the gum line. Crown elongation adjusts the gum and bone level to expose more, healthy tooth structure prior to placement of a crown. 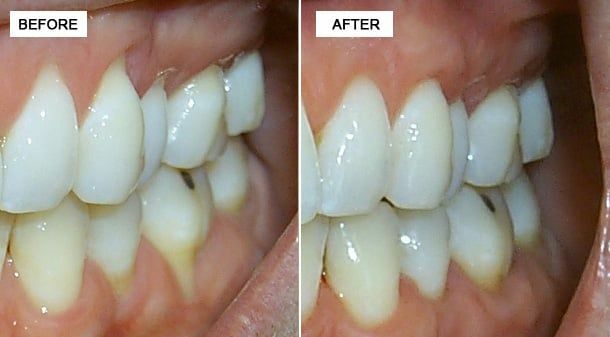 This procedure allows more tooth structure to securely hold the new crown and prevents the crown from being placed below the gum line where it would damage gum tissue and bone.